Done well, an IVR system is can be an effective tool for delivering better, faster and more efficient customer service. Done poorly, IVR can turn into a black hole that your customers dive in to, never to return again. products after a bad experience with an IVR system. Using IVR as a self-service tool for repetitive, predictable tasks benefits your customers and your team. Your customers can get on with paying their bills, even in the middle of the night, and your agents are free to answer calls that need the ‘human-touch’. As a self-service tool, your IVR lets you extend your customer service to 24 hours a day. However, don’t be tempted to replace your humans with a machine. Not all customer queries can be fixed with self-service or a recorded message. If your customers want to talk to an agent, then the role of your IVR is to get them there as quickly as possible. Ideally one of your first three menu options should be to talk to a person. Introductory messages that great your customers when they call are an opportunity to promote your brand. However, callers are likely to already be customers, they have a problem or concern they want answered and will not be happy to be delayed. 8 seconds should be the maximum amount of time your customers should wait in between calling you and being delivered to the menu. To get your customers where they need to be faster by limiting your menu to five items or less. The trend on internet self-servicing is ‘more is more’. Customers are accustomed to Googling long, detailed queries to get the exact answer they need. The IVR trend is the opposite. Customers want to get to the right area as quickly as possible. Apply the Keep It Simple Stupid (KISS) philosophy and provide broad menu buckets. The catch is to then make sure your staff are able to answer those queries. Train them, coach them, empower them to deliver solutions for your customers without transferring to a supervisor. First call resolution is critical to providing first-class customer service. Adding caller ID capabilities to your inbound calls allows your agents to immediately know who the caller is without going through the rigmarole of self-identification. While you may be tempted to use your customers on-hold time to tell them about your new product or services, there’s a good chance they are calling because they are tired, frustrated and trying to get a solution to their problem. Instead, let them know you value their time, you’re working to move them through the queue as quickly as possible. It’s also good practice to let your customers ‘barge-in’. If they know which combination of menu numbers to press to get to their destination, without listening to the menu verbiage, let them! IVRs are not a set and forget system. They need reviewing and refreshing. 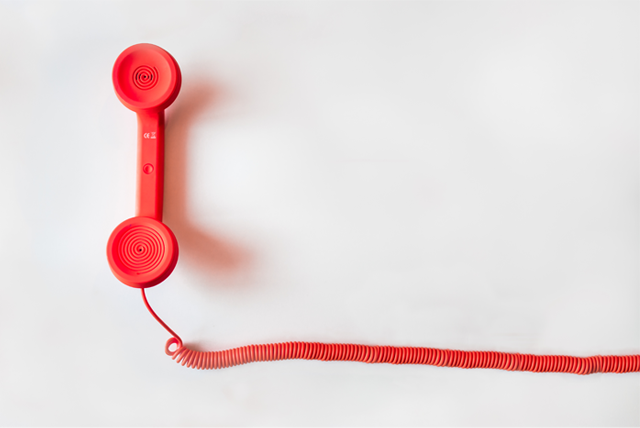 Your customers are telling you what is and isn’t working on your IVR system. Monitor where the drop out points are, where customers are getting caught in a menu loop, whether they are getting directed to the right ‘bucket’ to answer their query and what your first call resolution rate is. Chances are there will be tweaks you can implement to improve the customer experience. Are your customers getting frustrated with the wait? Who can blame them. Give them an option to request a call back, freeing up their time to get on with their life and putting the onus back on your company to proactively support them. Your customers have probably tried various ways of fixing their issue before calling you. If you have an online member centre, the odds are that they’ve already tried it and haven’t found what they are looking for. Directing them back to the website when they call you is just going to infuriate them. While it might not be the best place to push your latest marketing campaign, your IVR is a great place to show your brand personality. Vanilla recorded messages won’t interest your customers. Engaging voices that reflect your brand will. Think of in-flight safety messages. This dry, repetitive topic was once a two-dimensional requirement. Now, thanks to airlines like Air New Zealand, they have become a point of brand differentiation, without losing their core purpose. At the end of the day, like all customer service channels, IVR is not about you and the internal workings of your call centre. They are about your customers. Rather than a roadblock, they should be considered (by your customers) an access all areas pass to your customer service team.